As much as I enjoy the mindless escapism of a good buddy cop film, Ride Along lacks the required laughs and action needed for success. Too much of the film seems to be cliché script-by-numbers, so that even when it is inoffensive entertainment, Ride Along is never a memorable trip. The best it has to offer is distraction during the 100-minute running time, offering nothing to contemplate or reminisce over once the credits have rolled. The biggest disappointment with a film like this is simply wasted opportunities, the knowledge that there are laughs never garnered and thrills pissed away by lazy filmmaking meant to acquire quick and easy ticket sales without concern for audience enjoyment. What could have been an original plot premise quickly becomes a comedic version of Training Day, minus any of the edge. Even stars Kevin Hart and Ice Cube essentially just play caricatures of their own onscreen persona, never breaking out of the mold of predictable actions. Hart heads up the sentimental side of the cast, as well as the supposed laughs that rarely land, starring as high school security guard, Ben. Ben longs to be a police officer, so it is quite convenient that his steady girlfriend’s brother happens to be a highly decorated detective working a complex case of corruption and trafficking. 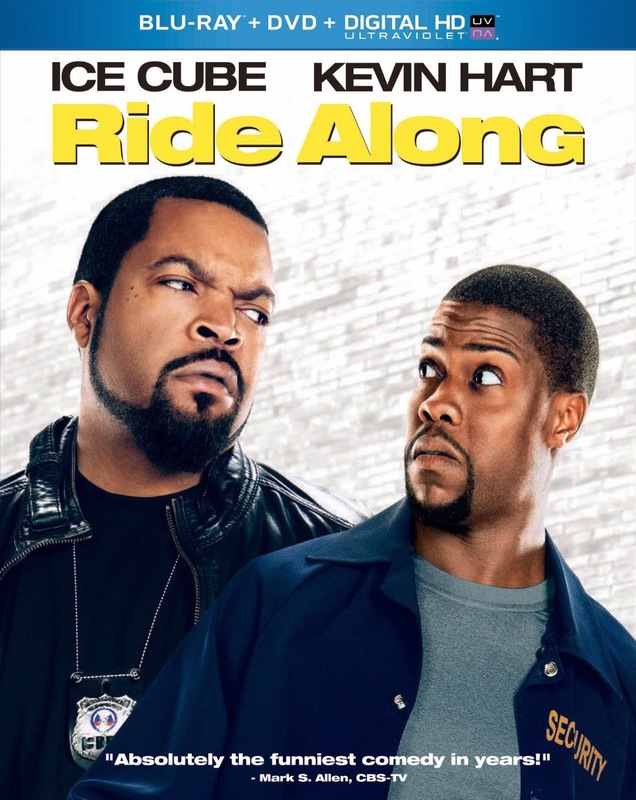 In order to scare Ben away from the uniform and his sister, James (Cube) agrees to take the loud-mouthed security guard on a ride-along designed to discourage. Ben inevitably becomes an unexpected asset to the case James is working on, and they team up to take down a criminal conspiracy. The emphasis remains on the comedy over the action in Ride Along, and that is clear by the special features also included on the Blu-ray. The extras include a gag reel and two featurettes also found on the DVD about the characters and behind-the-scenes footage from the set. There is also a commentary track with director Tim Story, and an assortment of additional featurettes and deleted footage that is exclusive to the Blu-ray release. Along with a variety of deleted and alternate footage, there are four featurettes with the forgettable action elements in the film.